You know how Shrek says Ogres are like onions - they have many layers? I feel like that too. I'm sure everyone does. Humans are so multifaceted. Although, I would prefer to be compared to a diamond. Diamonds reflect different colors depending on which angle you are looking from. For a long time, I have felt like I am supposed to do something special. Like I have a purpose? Everyone has one, I'm just not sure what mine. I firmly believe that at age 3, we are who we are meant to be in the purest form. No inhibitions, little socialization. 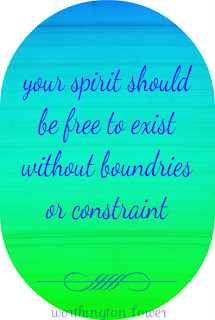 Our spirits are free to exist without boundaries or restraint. So I think back to that time for the answers to my questions about myself. What would my three year old self do/say? I can also look at my daughter for this. She is me 25 years ago. What did I want to be when I grew up? What was important to me? Creativity. I pictured myself painting, drawing, building, singing and writing. Over time, I listened when people said, "they are called starving artists for a reason." Or " you have to be really talented to make it as an artist." I took that to mean that I wasn't good enough. So I focused in more practical career choices. I have spent lots of money and years of my life pushing away things that are a fundamental parts of me. I always found ways to be creative in whatever did, but it was secondary. I've peeled my way through layers of self doubt and insecurity and discovered that I truly should have followed my heart. My three year old self (or my daughter) would tell me how silly I have been. I am certain that my highest calling is to be a wife and mother. No doubt in my mind that those things are my priority. I just feel that I'm not tapping into something about myself. Do you feel you have a higher calling or something you'd like to rediscover?